Description Indoor/outdoor. 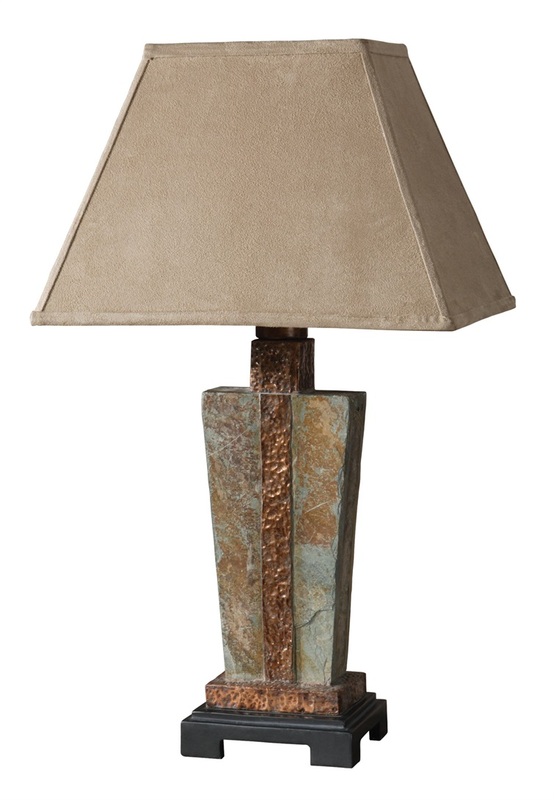 Hand carved slate, hammered copper details. Rectangle bell shade, brushed suede, weather resistant textile. Natural material, so each piece will vary.